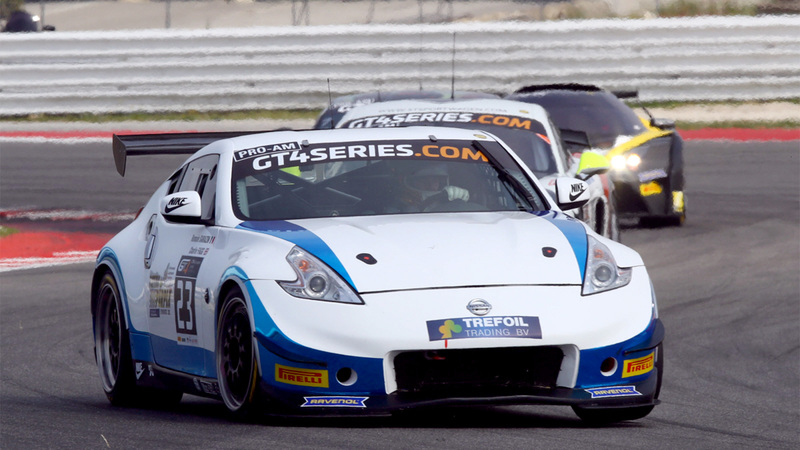 Pictured Great endurance racing debut for SWR at Misano in GT4 European Series. 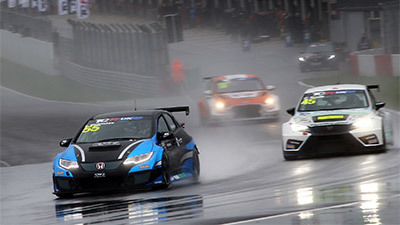 Great endurance racing debut for SWR at Misano in GT4 European Series. 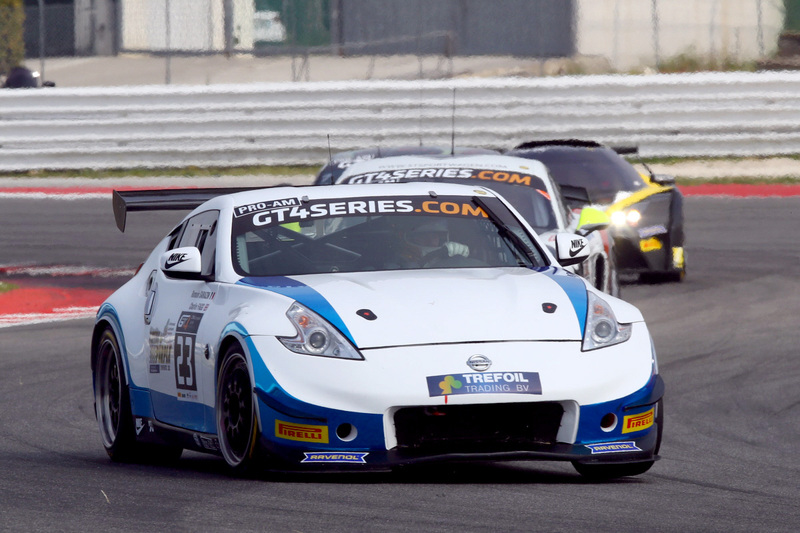 Nissan 370Z entrant SWR made a pleasing start to its maiden season in the GT4 European Series Northern Cup at Misano in Italy at the weekend, 1st/2nd April, where rookie pairing Charlie Fagg and Romain Sarazin raced to a pair of highly competitive results – including a best of 10th place. 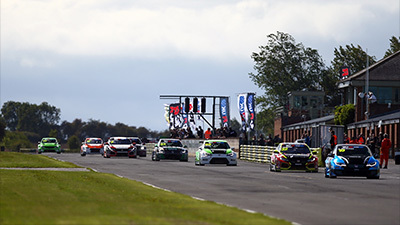 Forming part of a huge 33-car grid, the team-mates delivered good pace from the No.23 Nissan and only an unfortunate pit-lane infringement penalty prevented Oxfordshire’s SWR from challenging for a top five result in race two. Even so, team principal Ken Page was delighted with the performance displayed and says there is a huge amount to build on as the championship prepares to visit UK shores for the next round in May at Brands Hatch Grand Prix Circuit. “We all really enjoyed the whole weekend”, he said, “The GT4 European Series Northern Cup is a great championship to be part of and it’s a very competitive grid. Starting the season with a night race was fantastic and, overall, we’re all happy with the performance we produced throughout the weekend. Both lads did a great job in the car and raced very strongly. In qualifying both grid-determining sessions had red flag stoppages – in session one it came right at the end but session two was impacted by multiple incidents. Sarazin ended up 16th fastest in Q1 while in Q2, Fagg was an improved ninth quickest despite only having one true lap to count. Round one took place under night skies on Saturday and Sarazin had the opening stint. Racing fell under Safety Car conditions early on as a result of a lap one incident but Sarazin was untroubled, moving into the top 15 and then staying there to the driver change pit-stop with 28 minutes elapsed. Following a smooth hand-over in the pits, Fagg climbed aboard and made superb progress as the race order settled. Climbing through into the top 12 as the race hit two-thirds distance, he briefly moved up into 11th place but was subsequently edged back again into the last quarter of an hour. Hitting back once more, Fagg held 11th again into the final 10 minutes but slipped to 12th as the chequered flag neared. Dramatically, difficulties for a couple of rivals late on elevated SWR’s racer into the points-scoring top 10 at the end of the 60-minute contest. In warm conditions on Sunday, Fagg started round two from ninth on the grid and moved up into seventh on the opening lap as a result of two cars tangling at the first corner. Impressively closing down the top six, moving to within half a second, the SWR racer also had to keep an eye on his mirrors as the 10-minute mark approached with an advancing Porsche applying pressure. Belying his complete lack of experience in GT4, the Durham rookie consolidated seventh spot but was edged back to eighth at one quarter race distance by Mads Siljehaug. With 20 minutes complete, Fagg then started to turn the screw on the Porsche of Tim Stupple. As the pit-window opened midway through, the Briton stayed out just 0.6 seconds behind Stupple and then climbed into fourth place when cars ahead served their stops. At the end of lap 18, the SWR Nissan dived into the pitlane for its driver change with almost 33 minutes of action elapsed. Sarazin climbed aboard the Nissan 370Z and ventured out into the race in sixth position, thanks to great work from the SWR crew, but was then edged back to seventh. Then, with little more than 15 minutes to run, the No.23 car had to serve a stop-go penalty for a pit-lane infringement which dropped Sarazin to 13th place. With just eight minutes to go, the Safety Car was deployed after a car ventured off track and soon after, in a moment of high drama, the race leading KTM X-Bow of Siljehaug was black flagged due to an infringement regarding the Safety Car rules. Sarazin, therefore, was elevated into the top 12 and when racing resumed for one final lap, the Frenchman picked up one more place before the finish. 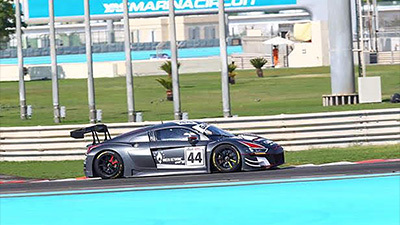 Reflecting on his maiden endurance racing event, Fagg said: “The weekend was positive overall. I was surprised how the BOP [Balance of Performance] was for our car but, nevertheless, I was ready for a fight and I was fast in both practice sessions, the car felt good. When it came to qualy, I was happy with P9 after three red flags caused me to only get one lap. 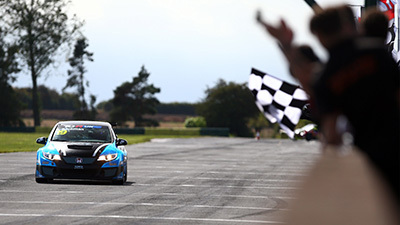 Rounds three and four of the GT4 European Series Northern Cup will take place on home ground for SWR with a visit to Brands Hatch Grand Prix Circuit in the UK over the weekend 6th/7th May.